Thank you for your interest in becoming a NEOSUN Certified Distributor. Let's shape the future of energy together. We provide a great range of advanced solar energy products with technical expertise, marketing systems, management methods and all relevant information to make your business a success. Our dealers are more than just territory-owners; they are our business partners that share the same vision and passion. In addition, we provide a proven business model, a Brand identity and trademark that have value in customers’ eyes. You don’t have to reinvent the wheel to be successful. We are committed to providing the best products using premium materials, and use the safest, most efficient equipment sourced from around the globe. Solar panels by NEOSUN Energy comply with international standards such as IEC, CE etc. and we guarantee the quality of our products with an industry-leading 30-year performance warranty. You provide capital, talent and energy to expand the Brand. So we commit to providing you with ongoing marketing support throughout the life of the Dealership Agreement. Besides the advertising and forwarding end-customer requests from the territory we provide great marketing materials - printed or digital PDF catalogs, booklets and useful instructions. 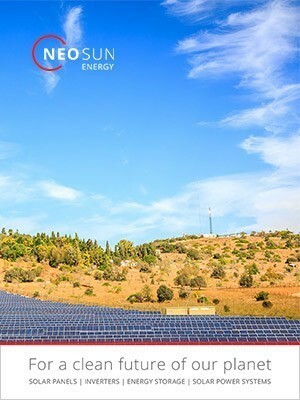 Working in collaboration with international research centers the R&D team of NEOSUN Energy is constantly improving our energy products and working hard on development of new innovative products and solutions. NEPSUN provides many opportunities to learn more about different technologies and trends in solar energy. Whether for installers, sales employees or plant designers: we offer an advanced training or webinar to help you to deal with any customer requirement. How to become a NEOSUN’s Master Dealer? It is very easy to become a Master Dealer of NEOSUN Energy. All you need is just to submit a request on our website and make an initial purchase of at least $10,000 to get the Master Dealer status. Apply now. 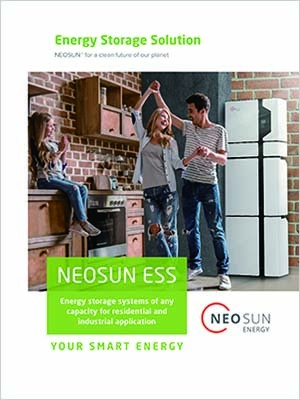 How to become a NEOSUN’s Exclusive Dealer? Exclusive Dealers are the elite and our strong business partners on the territory. They are equipped with advanced training, skilled personnel and should have at least 6 months experience as our Master Dealer and demonstrate an outstanding sales result of NEOSUN Energy products. The sales volume required for an Exclusive Dealer depends on the country and usually ranges from $500,000 to $2,000,000 annually. What benefits does my Dealership Agreement include? •	Access to the strongest renewable brand on the market. •	Ongoing trainings, technical expertise and consultations. •	Direct contacts on the NEOSUN’s website and even your own website upon request if you are just starting. What is the estimated cost of the business set up? 3. Uniforms, marketing collateral, signage, vehicles etc. 4. Installation equipment (from lifting devices to safety equipment). We deliver our products to all over the World. Standard delivery terms are FOB, CIF or DDP (for certain countries). Delivery time depends on the order quantity and normally takes around 20~30 working days. 2. Orders of 20,000 USD and above are due and payable on the following schedule – 30% due to be paid upon placing and order and the rest 70% due to be paid once the goods manufactured but before shipment.